Combining a lively, green and modern city with an isolated beach paradise is the perfect way to enjoy the best of both worlds. 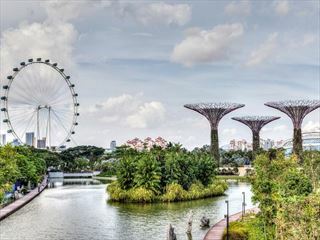 With three nights in ultra-contemporary Singapore and seven nights on slow-paced Langkawi Island, this is your chance to discover two fascinating destinations. 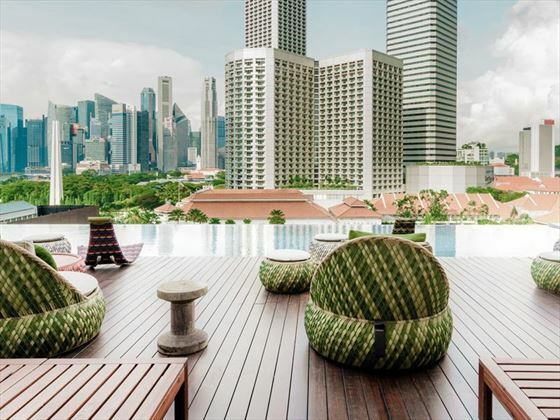 You’ll begin your trip with three nights at the boutique Naumi Hotel, a stylish hotel offering close proximity to Singapore’s beautiful boutiques, an inifinity pool with city skyline views and sumptuous restaurants within walking distance. 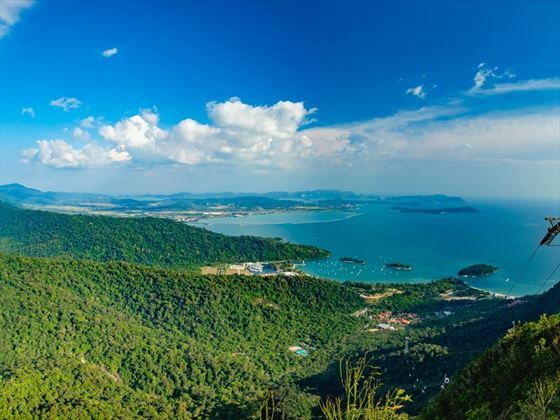 Take the short flight over to Langkawi for your stay at The Andaman Resort for seven nights of pure bliss in a unique bay setting in the heart of the rainforest. A complete juxtaposition to Singapore’s modern architecture, this secluded beachside resort offers a taste of authentic Malaysian living, with an ambience of wildlife, secluded pool area and choice of 4 restaurants, its truly relaxing. For those who can’t decide between a city break or a beach escape, this brilliant twin-centre simply combines the two. We’ve included two of our favourite resorts into the mix, but give our experts a call and they’ll be sure to swap things around if you’d like. Top tip: Go on the evening rainforest guided walk for the chance to see an array of wildlife only visible at night with your knowlegable guide. 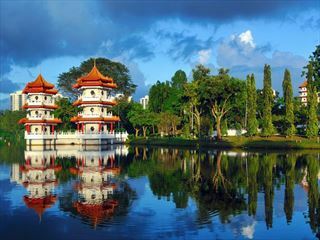 Your wonderful multi-centre holiday will start in Singapore, an exciting city where rich Asian culture is combined with ultra-modern architecture and attractions. It’s here that you’ll turn one corner and find a charming, bustling market filled with local delicacies, before turning the next corner and finding a plethora of designer boutiques and cocktail bars. Your three nights in Singapore will be spent at Hotel Jen Tanglin. Priding itself on its no-fuss, friendly and fresh ethos, Hotel Jen is a colourful and contemporary hotel where convenience and comfort combine. The rooms here are modern and cool, offering gorgeous city views and space to relax. Located at the top of Orchard Street, an area famed for its incredible shopping, you won’t be far from all the excitement Singapore brings. There’s plenty of restaurants and bars to explore in the area, but we’d recommend spending one dinner at the hotel’s Ah Hoi’s Kitchen, a bright venue offering divine cuisine including kway teow alongside lush garden views. 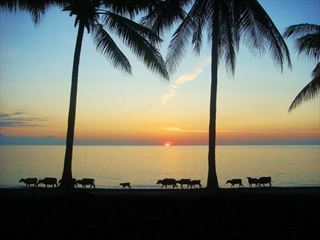 Next up is seven-nights in Langkawi, a truly stunning archipelago of 99 luscious islands just 30km northwest of Malaysia. Studded with emerald forest and lined with long stretches of pristine white sand beach, the island is a tranquil and secluded paradise. You'll be staying at a unique and serene oasis The Andaman, A Luxury Collection Resort. Nestled on the north west coast of the island, in a gorgeous bay, the facilities really set apart The Andaman as a great place to stay – relax in the large, meandering swimming pool and enjoy the six dining options, range of activities and excursions and complimentary daily shuttle to either Kuah town or Pantai Cenang. The resort is family-friendly featuring the Young Explorers’ Club, child’s section to the pool and waterslide. You can spend the days relaxing in the rainforest surrounded pool with plenty of day beds to sit back and enjoy an ice cream in the sun. The white sandy beach is an absolute beauty and another great place to unwind with the gorgeous scenery or why not take a kayak out into the bay if you're seeking some adventure. Transfer to the airport today for your departure flight. If you fancy a stopover in Kuala Lumpur on the way back to break up the journey, this can be arranged. These hotels are purely our favourite recommendations, although you can do the same itinerary and swap in for some of our other luxury hotels by speaking to one of our consultants. FREE night offer Stay at The Andaman between Jun – 20 Dec 19 & receive a special discount rate PLUS stay for 5 nights & only pay for 4, stay 7 nights or pay for 5! Saving you up to £620 per couple. Valid on all room types. Black out dates from 1 Jul – 16 Aug 19. Discount offer and Bonus Night offer can be combined. Book by 30 Jun 19. 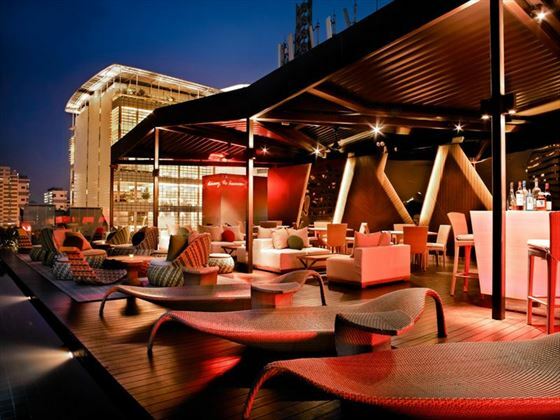 Trendy, stylish, young – Naumi Hotel Singapore is a stand-out boutique ideal for those who delight in staying in fabulous designer hotels. 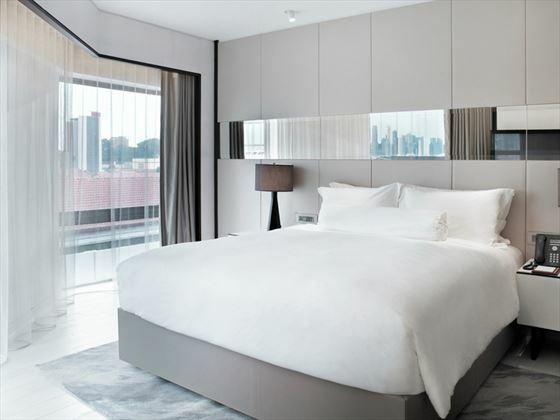 Located right in the centre of the city, its modern and classy high-tech rooms really reflect the lifestyle in Singapore. 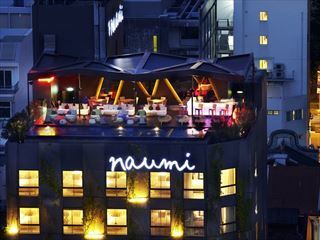 Describing itself as an unexpected oasis in the city centre, Naumi Hotel adds a luxury touch to personal comforts. The interiors are clean cut and sophisticated, with contemporary colours and furnishings adding style to every room. Two of the opulent room types have been inspired by two great creatives: Coco Chanel and Andy Warhol, with the former offering monochrome glamour and the latter boasting kooky colours and a bulbous armchair called ‘The Donna’. 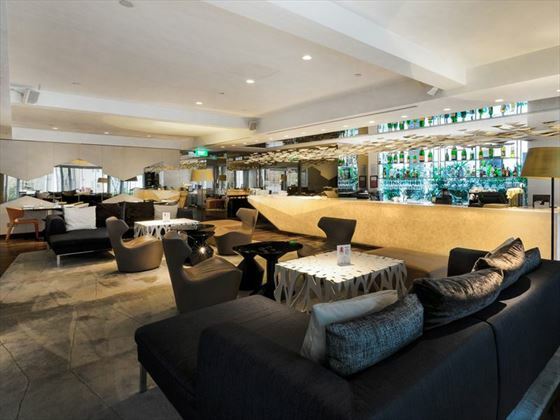 The boutique hotel is within walking distance from fantastic shopping and innovative restaurants, or you could relish an easy yet delicious option with breakfast, lunch and dinner served at the hotel’s Table Restaurant & Bar. 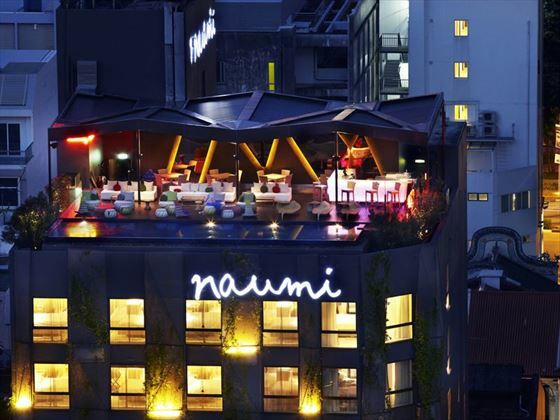 Naumi Hotel is a truly cool and collected retreat that’s perfect for discerning travellers looking to immerse themselves in Singapore’s city life. Boasting a truly jaw-dropping secluded location, The Andaman Langkawi is a stylish and luxurious hotel designed to take your breath away every day. We think it’s looking spectacular, situated on one of the most incredible beaches in the world. This is a family-friendly resort featuring the Young Explorers’ Club which caters to the little ones – which gives you the opportunity to relax for a few hours by the pool or get a treatment at the V Integrated Wellness spa, a high quality Spa & Wellness with holistic therapies, beauty treatments and fitness classes for both body and soul. You can spend the days relaxing in the rainforest surrounded pool with plenty of day beds to sit back and enjoy an icecream in the sun. The white sandy beach is an absolute beauty and another great place to unwind with the gorgeous scenary or why not take a kayak out into the bay if you're seeking some adventure.